Many were ready to hail Paul Thomas Anderson's The Master as a masterpiece the moment it was released. I'm not quite there yet, but it's impossible to not recognise the greatness within the director's sixth film. Purely on a level of ambition and craftsmanship, the film is a cut above the vast majority of 2012's American films. The gorgeous 65mm photography from Mihai Malaimare Jr. instantly marks this as a singular piece of work, with Jonny Greenwood's typically abrasive score bringing the same discordant edge to the film that he did to Anderson's There Will be Blood. 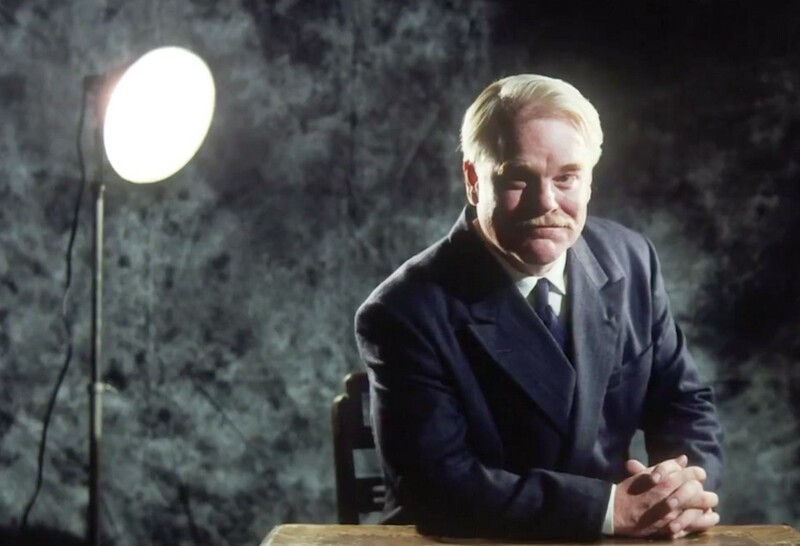 The director also draws two vastly different but brilliantly complementary performances from his lead actors, and on a scene-by-scene basis there's little to match The Master. So why am I stopping short of hailing it as one for the ages? The film's deliberate evasiveness and ambiguity didn't always work for me, and I miss the unabashed directness of PTA's earlier features, where he showed his strengths as an emotional filmmaker rather than a cerebral one. Having said that, I'm certain that The Master is a film I'm going to revisit numerous times, and maybe one day the scales will fall from my eyes allowing me to see the film that others have seen. Love hurts in Goodbye First Love. Mia Hansen-Løve's film charts the vicissitudes of a teenage girl's first taste of romance. Camille (played by the wonderful Lola Créton) is 15 years old when she gives her heart to Sullivan, who breaks it when he leaves to travel the world. The film shows us how the character wallows in despair before picking up the pieces and moving on with her life, but her first love remains with her throughout the subsequent years. Hansen-Løve is an extraordinarily delicate and perceptive filmmaker and her film hinges on small moments of keen observation that tell us where Camille is at this point in her life and how she's feeling. Instead of giving the film a defined narrative structure, Hansen-Løve dips in and out of Camille's story, showing us how she has matured in some ways while in other ways she remains the same teenage girl we met at the film's start. Few films have captured so accurately the way in which first love feels like the most important thing in our lives, and how we might spend the rest of our lives trying to replicate that fleeting but powerful emotion. 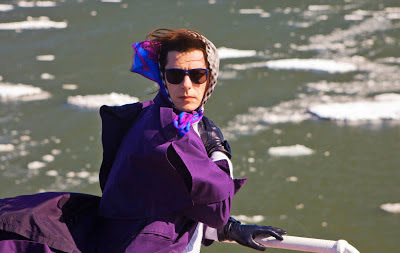 Xavier Dolan is not a man who lacks for ambition, and the wunderkind went for broke this year with Laurence Anyways. Dolan's third film is a decade-spanning, Academy ratio, 160-minute epic about the relationship between a transsexual and his long-term girlfriend, and I'll admit that I approached the film with some trepidation. I doubted his ability to handle such a long and complex story, but to my surprise he pulls it off magnificently. Aided by outstanding performances from his cast, Dolan has made a spectacular film that dazzles us with the director's familiar stylistic verve but – crucially – matches that vivid surface every step of the way with real emotional weight. The film feels sincere and complete in a way that Dolan's previous films didn't, and he packs the lengthy Laurence Anyways with a series of jaw-dropping sequences. It's a huge step up for this young director, and appeals for Dolan to curb his excesses or invest his work with more discipline seem misguided to me. He's 23 years old; discipline will surely come later, and right now it's exhilarating to see this remarkable talent spreading his wings. How do you follow a film like Dogtooth? Yorgos Lanthimos' new film feels like an extension of, and reaction to, that astonishing film, and while it inevitably lacks the shocking impact of the earlier work, it may be an even more impressive achievement. The story of a group of people who substitute themselves into the lives of grieving families, Alps is a film about shifting identities and Lanthimos sustains the deep sense of ambiguity to the point where we can't be sure which of the relationships in the film are real and which are false. In just three films, Lanthimos has established a style and tone that is definably his. The flat line readings make it hard to get a handle on the characters' real feelings and motivations, but they also fascinate and provide some priceless moments of comedy ("Don't stop. It feels like heaven. "), while Lanthimos' expert compositions and sharp editing create an unnerving atmosphere that's unlike anything else. Alps is the work of a remarkably distinctive new voice in world cinema, and it is a film that deepens on repeated viewings while simultaneously raising further questions. 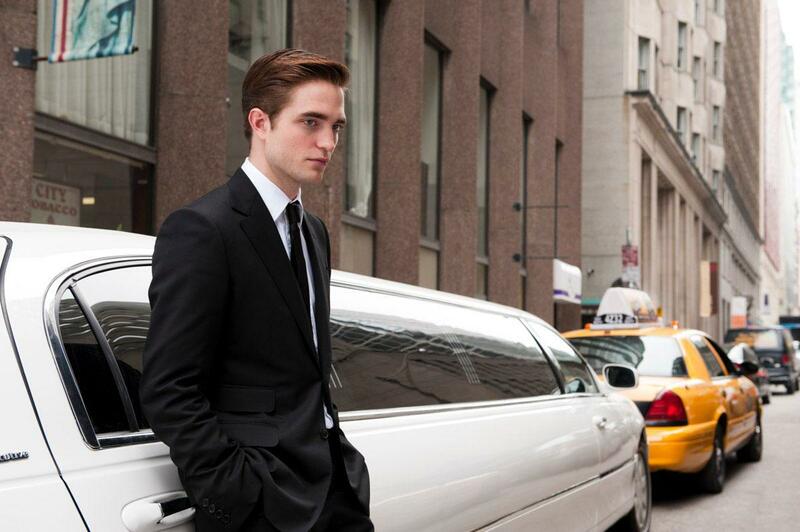 David Cronenberg's adaptation of Don DeLillo's Cosmopolis is surely one of the year's most wilfully perverse films. The director has stayed entirely faithful to the source material, even retaining the strangely cryptic, epigrammatic dialogue that sounds nothing like real human conversation, and he makes no concessions to audience comfort or engagement. It's fair to say that this film will not be to all tastes, but as Eric Packer's ornately designed limousine slowly crawled through a chaotic New York, I found myself getting on board with its unusual rhythms and becoming engrossed by the vision of a collapsing society that it presented. The image of a billionaire sequestered from anarchic uprising on the streets, while he watches his financial stock fall dramatically on computer screens, is in itself a potent one at this particular time, and Cosmopolis feeds off the current state of things while telling its own strange story. Cronenberg is in full command of this material, from the way he directs cohesive performances from his eclectic collection of actors to the brilliant way he frames every shot within the confines of Packer's limo. This is the most alive and idiosyncratic film that the director has made since Spider ten years ago, and it may – like Videodrome – prove to be even more telling and prophetic in years to come. About Elly was one of the best films I saw in 2009, and I had long given up on its chances of finding UK distribution when it finally arrived on these shores this year. For that development, we have the success of Asghar Farhadi's 2011 film A Separation to thank, as it encouraged people to shine a light into the director's body of work and to unearth proof that his Oscar-winner was no flash in the pan. About Elly begins as a simple, endearing tale of a group of friends enjoying a weekend at the beach, but after a mid-film twist it begins to grip with the urgency of a thriller. About Elly brilliantly explores the psychology of its characters through the layers of well-intentioned lies and deceit that they pile upon one another. The file depicts the culture of lies that exists in Iranian society, but it is first and foremost an absorbing moral drama, and I remain in awe of Farhadi's ability to constantly play with our emotions and question our perception of his characters. This is a serious, complex, morally profound piece of work, and one fit to stand shoulder to shoulder with the director's more acclaimed later work. Was there a more essential film released in 2012 than This Is Not a Film? 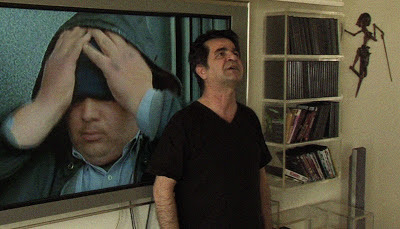 Shot partially on a phone and smuggled out of Iran inside a cake, this collaboration between directors Mojtaba Mirtahmasb and Jafar Panahi takes place entirely inside Panahi's home, which is where he is confined while he awaits news on his appeal against a six-year jail sentence and 20-year ban on making films. By making this small film they are breaking the law, but Panahi is such a restless creative spirit and This Is Not a Film captures him trying to find an outlet for that desire. He reads from a script he has written and attempts a small-scale recreation, but ends that experiment in frustration. 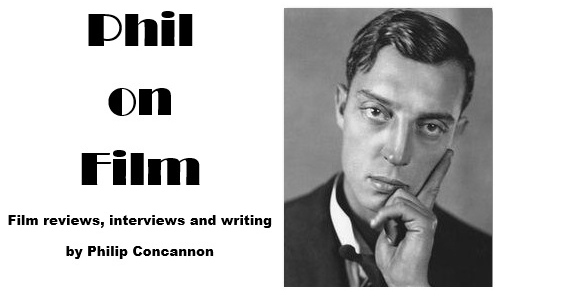 What else can a filmmaker do when his raison d'être has been taken away from him? The very existence of This Is Not a Film is important as an act of defiance against an oppressive regime, but that would mean nothing if the film wasn't compelling, funny and troubling in its own right. This Is Not a Film shows us an artist paying the price for simply having a strong voice in a country that brooks no dissent. Despite the protestations of Mirtahmasb and Panahi, this is a film – and what's more, it's a great one. Amour is a great love story and a great horror film. It is a love story in a sense that the affection and devotion we see between its two lead characters feels entirely real, and it is a true horror in the way it unblinkingly faces the pain and suffering that so many of us will eventually have to face in our own lives. The film is often hard to watch, which is not unusual for a Michael Haneke film, but this time it feels different. The film's power is drawn from our association with the characters and the emotional truth of what we see rather than the director's clinical and often cruel manipulations. Amour is the story of an elderly couple struggling to cope after the wife is partially disabled by a stroke that hits her (in a terrifyingly quiet manner) early in the film. We watch the husband do what he can to assist her, and while this may sound like the most depressing two hours imaginable, there's actually something inspiring about seeing such a pure and unquestioning love being depicted on screen. Haneke's direction is as intelligent and precise as ever, but this film is built upon a sense of compassion that I have rarely found in his films. 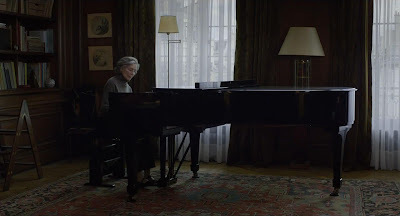 Amour may not be an easy film to watch but it is a rewarding one, displaying a master filmmaker at the height of his powers, and two of the most moving and courageous pieces of acting you will ever see. Every three years the Dardenne brothers release a new film and every three years I brace myself for disappointment. Surely their run can't continue. Surely they will soon falter and make something less than a great work. As of yet, I haven't been let down once, and The Kid With a Bike is yet another masterpiece from two directors who seem incapable of making anything but. With this film, their work has the effortless quality possessed only by filmmakers who have mastered their craft. The story is simple – a troubled boy looks for love – but the humanity that the Dardennes bring to the film makes every scene feel real, and as if it is unfolding in front of our eyes with the spontaneity of real life. They manage to elicit tears without ever straying into sentimentality and they retain the extraordinary ability to spin gut-wrenching suspense out of nowhere; in the final stretches of The Kid With a Bike I was holding my breath as I had become so emotionally invested in Cyril's fate. The Dardennes make films about ordinary people in trying circumstances, whom they regard without any judgement. Their films are great works of realism, humanity and artistry, and The Kid With a Bike is simply the latest in a run of films that has few parallels in contemporary cinema. 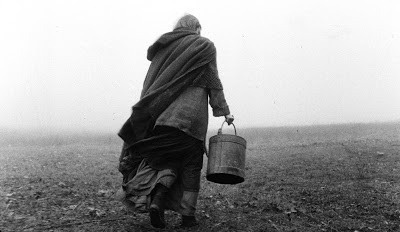 Béla Tarr made it clear that The Turin Horse would be the last film he ever made, and he couldn't have picked a more fitting film to end with than this one, which is so heavy with the sense of impending darkness. We spend most of the film inside the cabin inhabited by a poor father and daughter, who earn a meagre living from farming but who can do little while the wind howls incessantly outside. They have a simple routine – they wake, they do chores, they eat potatoes, they sleep – but over the course of the seven days that this film observes, their routine begins to be disrupted. A neighbour arrives with apocalyptic tidings, a band of gypsies drive by, the well dries up, their horse refuses to work, and all the time the wind continues to howl. It is as bleak and unremitting a picture Tarr has ever made, all unfolding in his familiar slow takes to a foreboding score by Mihály Vig, but this bleak picture is also incredibly compelling. It grabs our attention with the unforgettable opening shot and doesn't relinquish its grip for the next two and a half hours. The solemnity and austerity of the picture may be suffocating, but the steady rhythm that the director establishes keeps us following the story, day-by-day, hour-by-hour, until Tarr finally turns out the lights. Maybe this is how the world will end, not with a bang but with a quiet howl of despair. Many films recently have depicted the apocalypse, but watching The Turin Horse – and contemplating the loss of a great artist from the cinematic landscape – is the only one that actually feels like the end of the world.